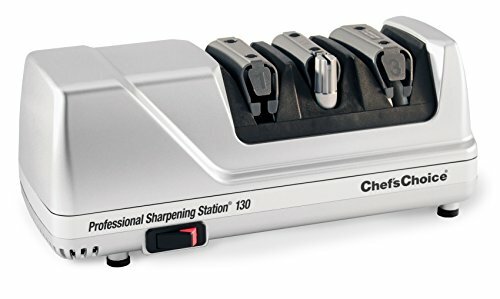 Coddle your cutlery with, the Chef’sChoice Professional Sharpening Station 130. 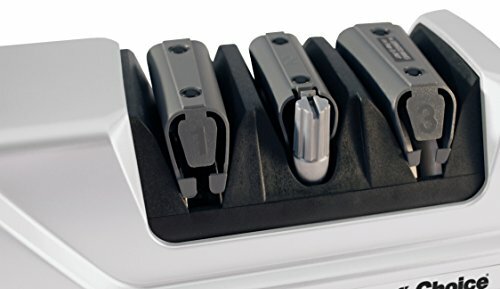 It offers the serious cook, professional chef, or knife connoisseur “edge versatility” with a 3-Stage sharpening system that features our renowned sharpening and stropping stages as well as the world’s most advanced steeling process. Built-in precision angle guides in all three stages eliminate guesswork and produce consistently sharp edges every time. 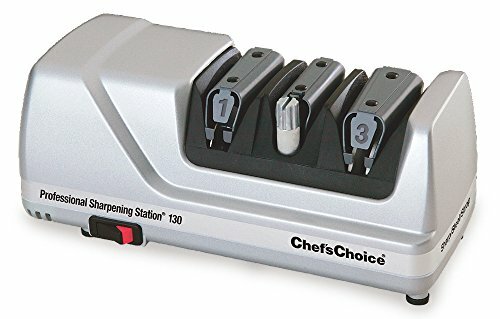 The Chef’sChoice Professional Sharpening Station 130 eliminates the clutter of ineffective sharpening gadgets and provides in one compact appliance, the ultimate versatility of choosing the preferred edge for any cutting task. 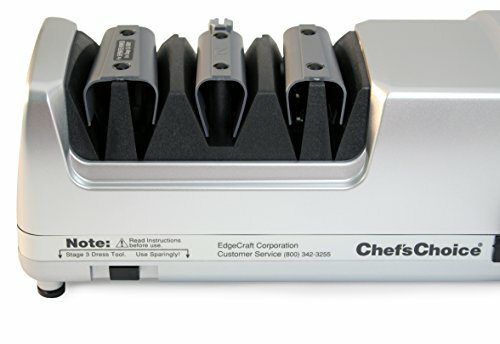 With the Chef’sChoice Sharpening Station you can do it all, simply with the push of a single on/off button. 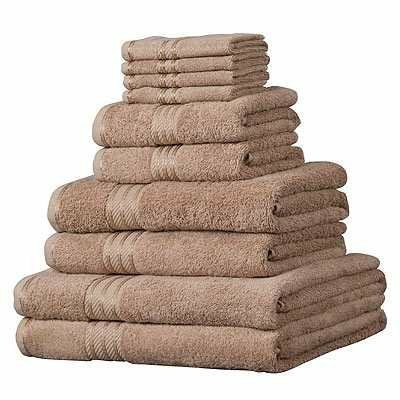 And the astonishingly sharp, long-lasting edge is better than factory sharp, no matter which type of edge you choose. No experience necessary or skill required!